Genealogy work is tedious. Much of it is sifting through wills and public documents to take advantage of the cumbersome court system that provides a spotlight on status changes, past activities and personal bumps in the road. Much of it is mundane, but there are always surprising details. I applaud those who take on the job to enlighten the rest of us. I wrote about the Sprouse family in Brackett Township and moved to the Nanney family which extends from Brackett Town into Montford Cove Township in McDowell County. Many now live in the Camp Creek and Morgan Townships in Rutherford County. Thanks to Wade Nanney and his cousin, Mary Glenn, for their diligent research. But we can’t leave out Ms Ruby Nanney! Soon we will check out the early settlers in Dysartsville Township. Stay tuned and get your stories ready. Through a Virginia professional genealogist in 1967, a deed was discovered from John Nanny to his son Thomas on Rattlesnake Creek in Brunswick Co, VA. The deed was dated June 16, 1756. This was confusing because the land was listed as part of a larger tract and the genealogist could not find a record of the grant. Three months later, he realized the problem was in the changing of county lines. The grant was recorded in a different county. I can understand this confusion. 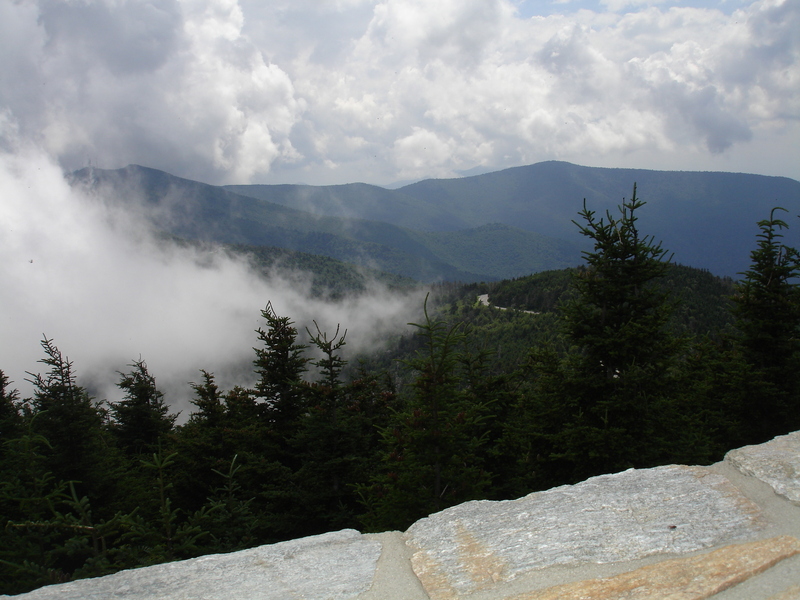 McDowell County of NC was created in 1842 from neighboring counties Rutherford and Burke. Then in 1861, a chunk in the northwest corner was removed to make Mitchell County, home of Mt. Mitchell, at 6,684 feet the highest mountain peak east of the Mississippi River. Two posts back I mentioned George Ledbetter was a justice of the peace, the sector of the court that administrated the building and maintaining of roads and bridges, granting letters of administration, probating wills, seeing to needs of the poor and orphans, levying taxes and appointing tax listers and collections. In notes from one contributor from the Ledbetter family, which I believe were taken from The Richard Ledbetter family of Rutherford Co., North Carolina, by Mary Ledbetter Morgan Peters, July 1969, there was a mention of the new government history of Rutherford County. At the July 1783 term, a jury was selected to lay off a road “the nighest and best way from the courthouse to George Ledbetter’s Mill in the Cove.” (Montford Cove in McDowell County) George’s influence reached a long way. From “The minutes of the Court of Pleas and Quarter Sessions, Rutherford County, October 1783: The jurors instructed to build a road nearest and best way from the courthouse (then called Gilbert Town) to Ledbetter’s Mill and Potts Fort are…” and then the able bodied men were listed. Along with one woman, Mary Potts. I bet she was the foreman, uh, foreperson? In spite of the directive and appointment of the crew, the first roads were not built until 1799. The intervening years were spent in disagreement. Perhaps there was a lack of good leadership. I have observed that in the political arena it is difficult to find justice because there are so many egos involved. There is a prevailing individual attitude that if you disagree with me, you’re wrong and only the weak compromise. For example, in 1782 a vote was taken in Gilbert Town village to build a courthouse in the middle of the community. In 1784, the NC legislature in a different county took it upon themselves to say the property was not convenient to the citizens, the same ones who voted. So in 1785, five commissioners bought land for ten pounds for a new courthouse and jail. But then the title was in dispute for nine years. It seems to me that these five opinions did not approach the wisdom of the original vote. 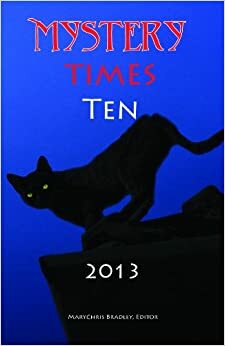 “At the January term of court, 1785, they rated the following commodities: good West India Rum one shilling four pence for one half pint; Continental Rum, eight pence per half pint; good brandy, eight pence per half pint; cyder royal one shilling per quart; cyder beer or marthigalum, six pence per quart, and in proportion for large quantities. Corn could be sold by tavern keepers for eight pence per gallon; oats at six pence per gallon; good pasturage at six pence; good bed for one night cost four pence and breakfast or supper one shilling, and dinner one shilling, four pence. 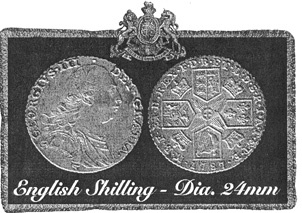 According to an act of the Legislature of 1783, the value of the shilling was about” twelve pennies. At a website hosted by Sons of Liberty Chapter of SAR, in an article “Eight Pence a Day,” written by Douglas Cubbison, http://www.revolutionarywararchives.org/eightpence, coins were generally copper or silver, anything larger than a crown was gold. A crown was worth five shillings, the core currency in America. There was a diverse range of foreign currency, the most common being the Spanish Dollar because of the trade with the West Indies and South America. It was worth about four shillings. A shortage of coins resulted in a booming counterfeit industry and a tremendous opportunity for a clever, unscrupulous founding father to manipulate the exchange rate. Of course if there were prices to be set, it follows that taxes were right behind. Somebody had to pay for a war that resulted when we complained about taxes on tea and tobacco. “At a meeting of the Rutherford County court of pleas and quarter sessions, held in January, 1787, the court levied a bounty of ten shillings on each young wolf scalp brought into court, and fifteen shillings on old wolf scalps, the bounties to be paid out of a tax of three pence on every poll and one penny on every hundred acres of land, to be collected for the year. A tax of one shilling on every poll and four pence on every one hundred acres of land was also paid for the completion of the public buildings.” I understand “a poll” means a male property owner, in other words, the voter. This all took place before the Constitution was the law of the land. Perminter Morgan’s son-in-law, Jethro Wilkerson used the court to manage his family from the grave. In his will, he provided “to my beloved wife, Polly Wilkerson, one half the west end of the bottom land, my mansion house,” etc, including two servants, ten head of cattle, two horses, all grain and hemp for her lifetime, but “if my wife Polly Wilkerson should marry again, then she is only to have an equal portion with one of the girls.” And Polly’s portion would have been split between her two sons. I bet she kept on good terms with those boys. Attitudes and lifestyles might change, but human frailties remain. We have learned that morals cannot be legislated. Without a doubt, there are dusty records everywhere about old decisions that beg a do-over. The stuff of novels and movies. This entry was posted in Brackett Town Saga, Nanney Saga and tagged George Ledbetter, Jethro Wilkerson, Morgan Township, Rutherford County. Bookmark the permalink.